“The wind is your friend,” a reader writes us. With friends like this…Today Roger and I are not alone on our Erickson Tandem. 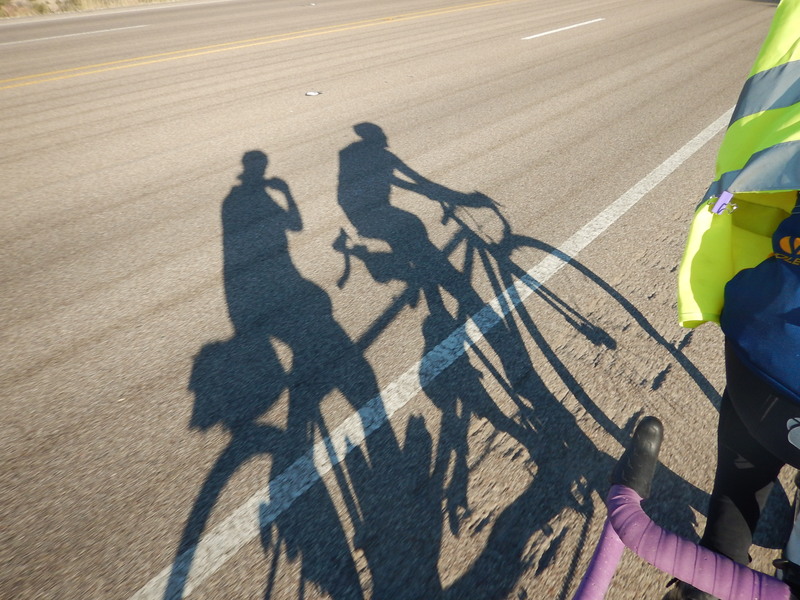 The headwind is our constant companion! Although the road surface is 100% percent better today, we are buffeted by 20 mile an hour winds (with gusts of 35) for much of our ride. Luckily it’s “only” a 57 mile ride. The town of Alpine is the highlight. 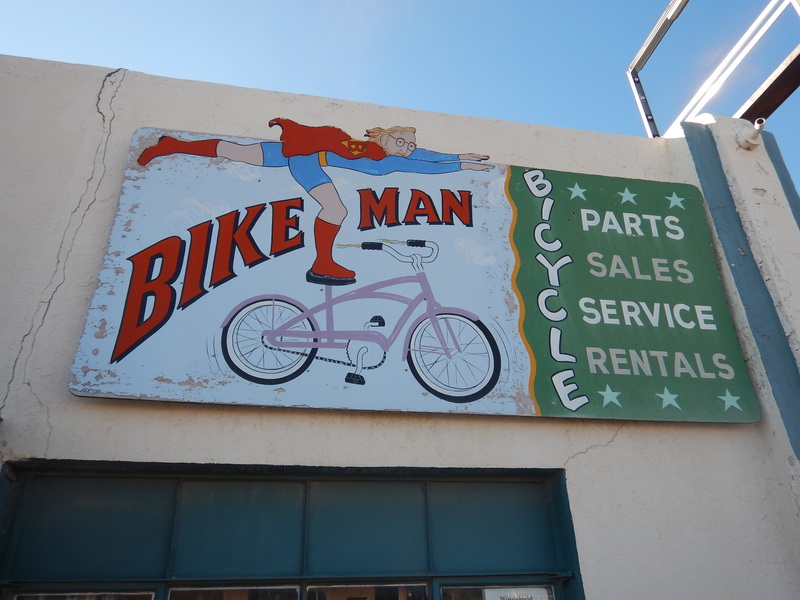 We visit a bike shop and a bakery where we pick up some food for a later lunch. We pass what must be the tiniest Target ever and wonder if the “Prada shop” people are responsible for this one as well. After our last SAG check-in we have 22 miles to go. Eight miles climb into the wind (which took an hour) and the last 14 turn slightly downhill with some rollers to finish. Here’s our stats. Despite the wind, the ride was much easier than yesterday. Best advice of the day: don’t pee into the wind! Our ride comes with a reward. Tomorrow, we celebrate with our third day off of the tour. Bubba is driving all of us to Big Bend National Park. Our rear ends will enjoy the break. 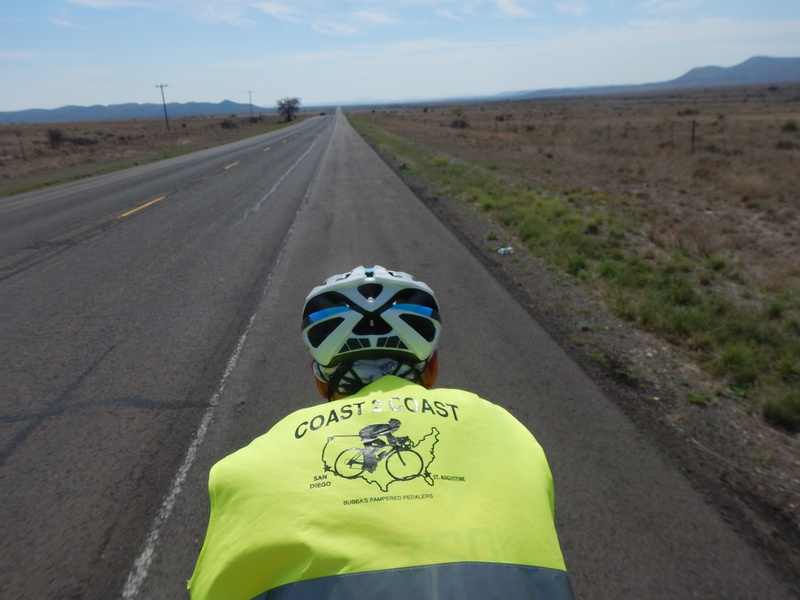 Follow the blog and never miss a Coast 2 Coast post. Just hit the follow button in the upper right. And share it with your friends! I have so much respect for what you guys are accomplishing as you ride into the teeth of these winds. There is a pro golf tournament this weekend in Texas and they are suffering these same winds. As I watched I couldn’t help but think of you guys. Enjoy your day off and hopefully these winds will calm down, the roadway will be downhill, there will be a bakery every two miles filled with tastee treats and your legs will be stronger then ever when you get back on the bike. Great job, you guys! You made us feel very guilty today when we bailed on a ride because of 16 mph winds. Enjoy Marathon and Big Bend and get some earplugs for the trains. Hope Big Bend is blooming! Maybe that’s where the drone drops the Target orders? 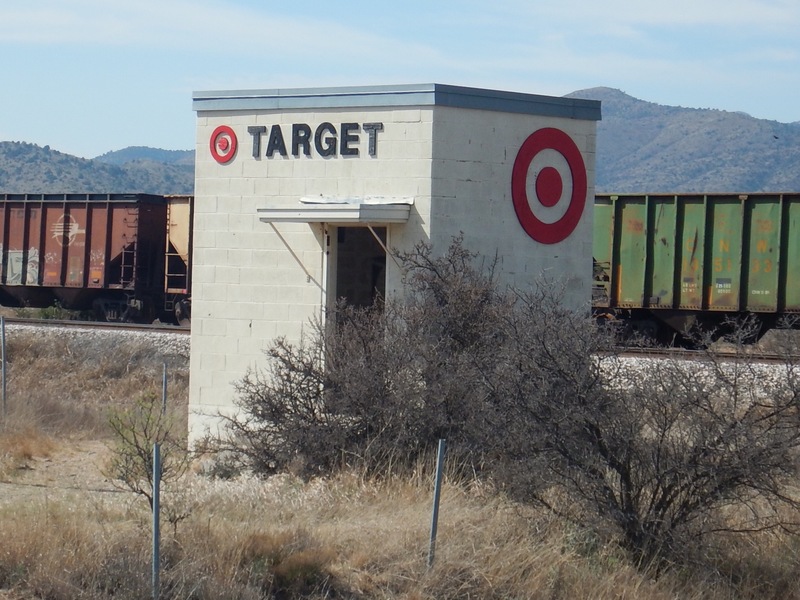 We have seen that micro sized “Target” facade on our way to Big Bend. Of course, the day we saw it, we were in air conditioned comfort dragging our little A-Liner camper. The wind in Austin today was gusting and howling. Every howl was a reminder of what you guys must have gone through today. Glad the roads were better. How are those tents holding up in this wind? 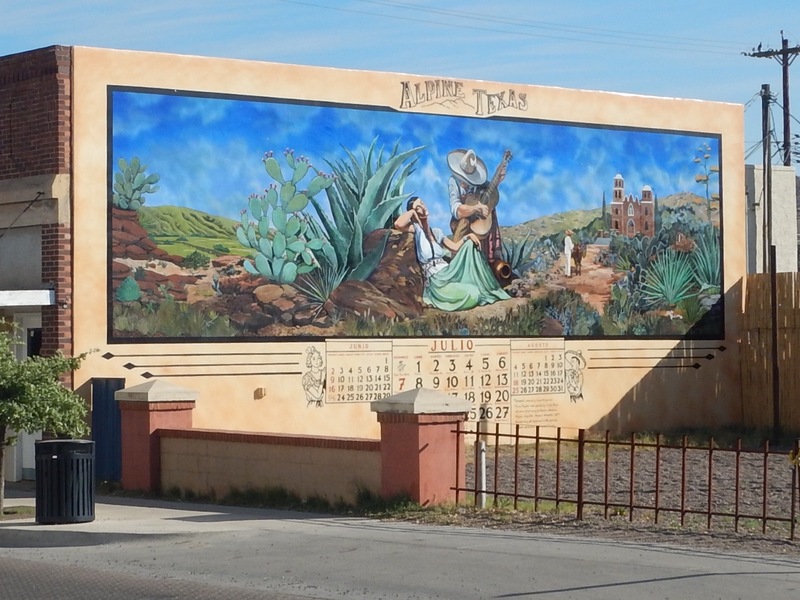 Enjoy the day off in Big Bend! Are you going to do the 9 mile hike up to Emory Peak? Here’s to a beautiful day to enjoy together. 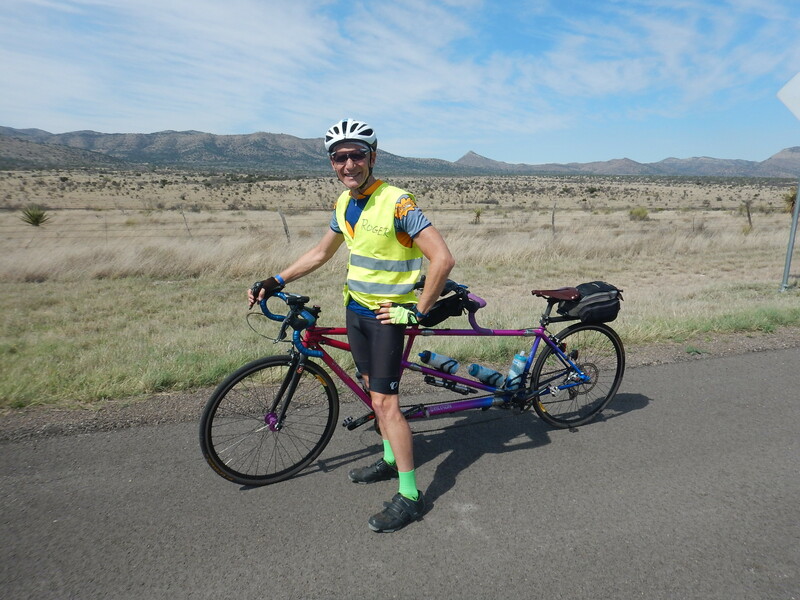 Enjoy Big Bend ! I spent 2 weeks in the park a few years ago, hiking and mountain bike riding. It is a beautiful place, especially the river canyons. I’m glad the trip is going well. I’ve enjoyed reading your blog. Thanks for sharing. 8:52 a.m. on Friday at 40 mph!!! Wind at your backs? Must be down hill or on 4 tires!! Hope you are in Bubba’s van having fun! Winds in IN today, 20-30 mph. You guys are amazing! What a journey! Hope you enjoy Big Bend; I have always wanted to go there. We rode those roads with Lori and Dylan and others last fall.. Enjoy!